Haydn, thank you so much for the flyers, they look fab. Whether you send colour flyers out in the mail, do a leaflet drop or post them yourself you can get your advertising message out there quickly, especially if you take advantage of our same day printing service in sheffield!. 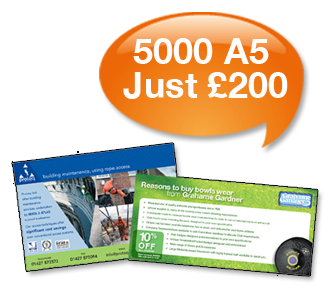 £200 offer only available on 130gsm paper and not available on our same day colour printing service.